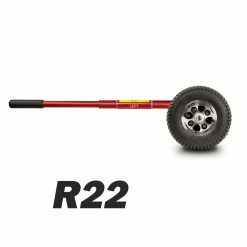 The most popular wheels on the market for Robinson R22, works on all terrain & weather conditions. 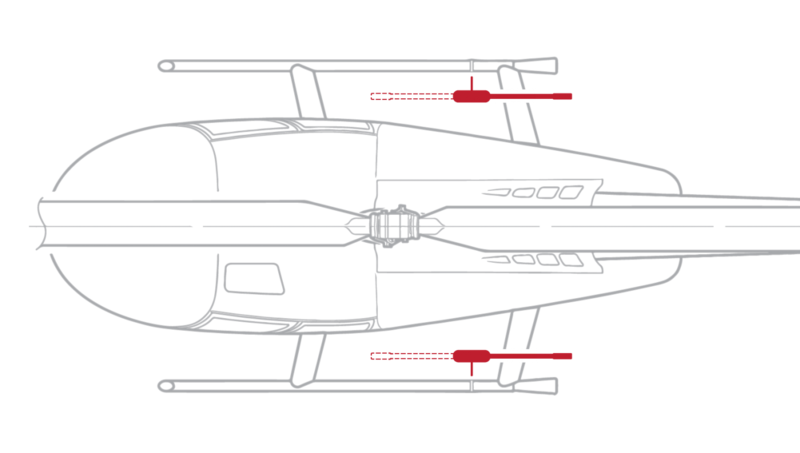 Can be set at two possible heights to clear obstacles. 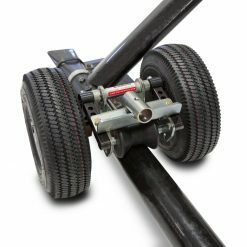 Sturdy components and easy care. 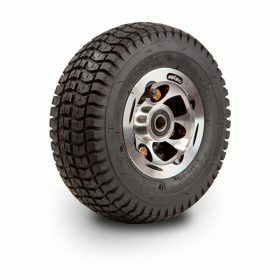 Choose your tire type! Sold in pairs. 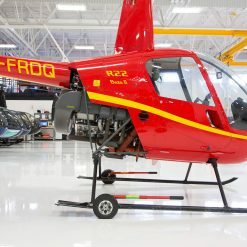 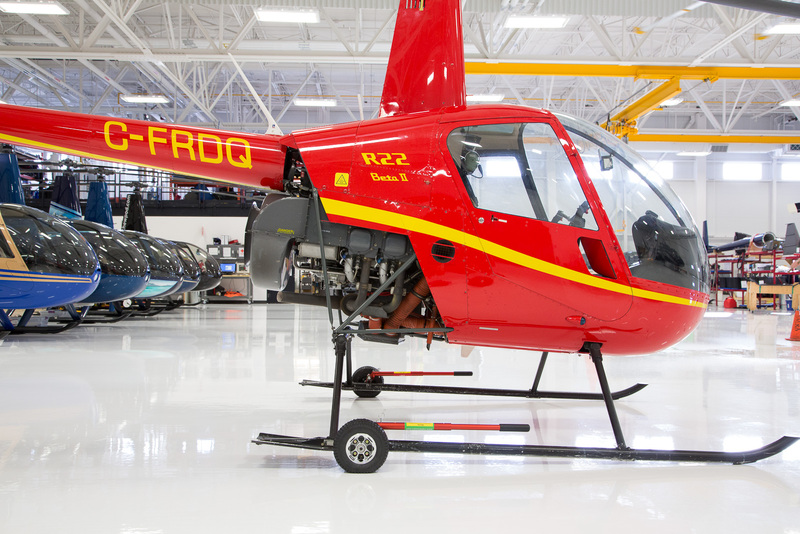 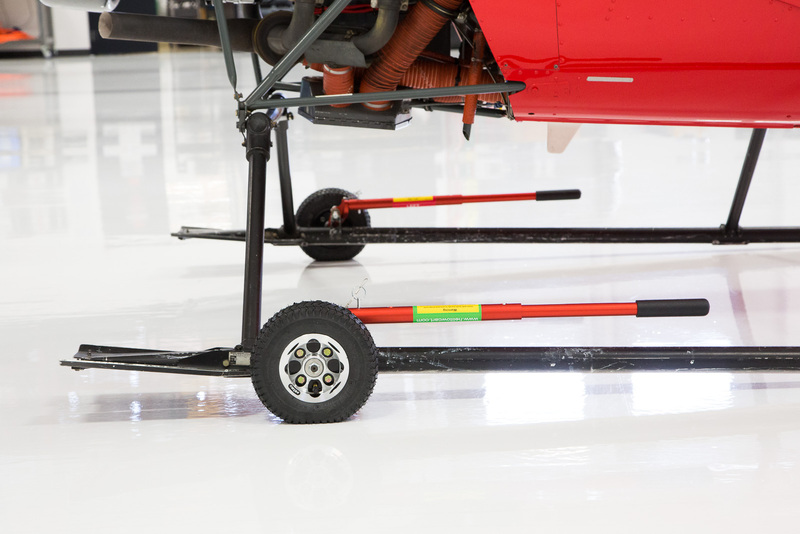 Our newly designed wheels for Robinson Helicopters feature an upgraded wheel heart crafted from aviation grade aluminium. 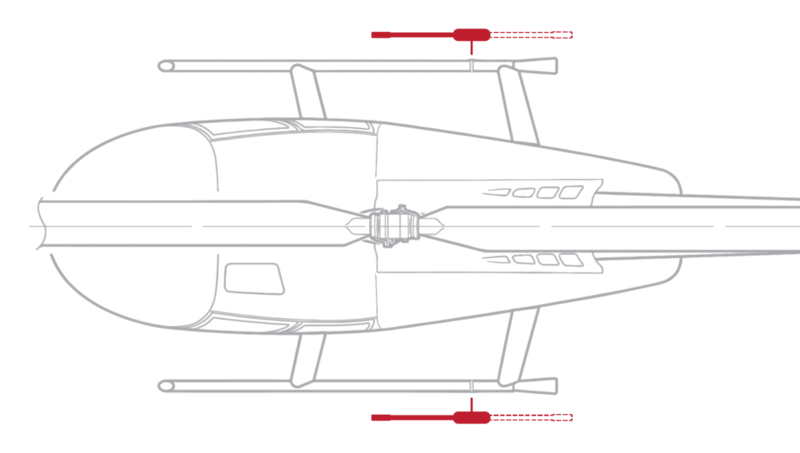 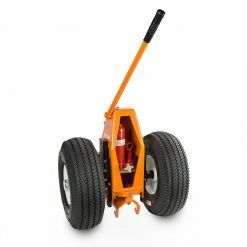 This new design allows the wheels to be lighter and easier to carry around than ever before! 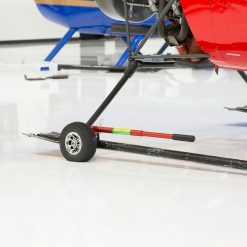 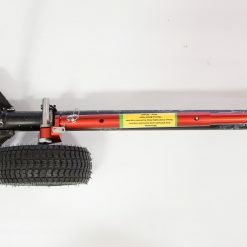 Wheel pin can be adjusted to two different positions allowing a clearance of 1.75” (4.5cm) from the ground to the bottom of the skid for the regular height, and 2.2” (5.5cm) for the high position.High position is ideal for high hangar rails and uneven terrain. 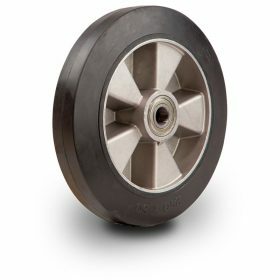 The most versatile wheel yet! 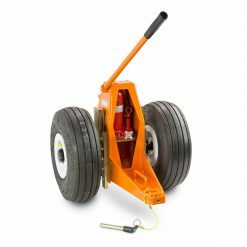 We believe that with one pair of wheels you should be able to move any Robinson. 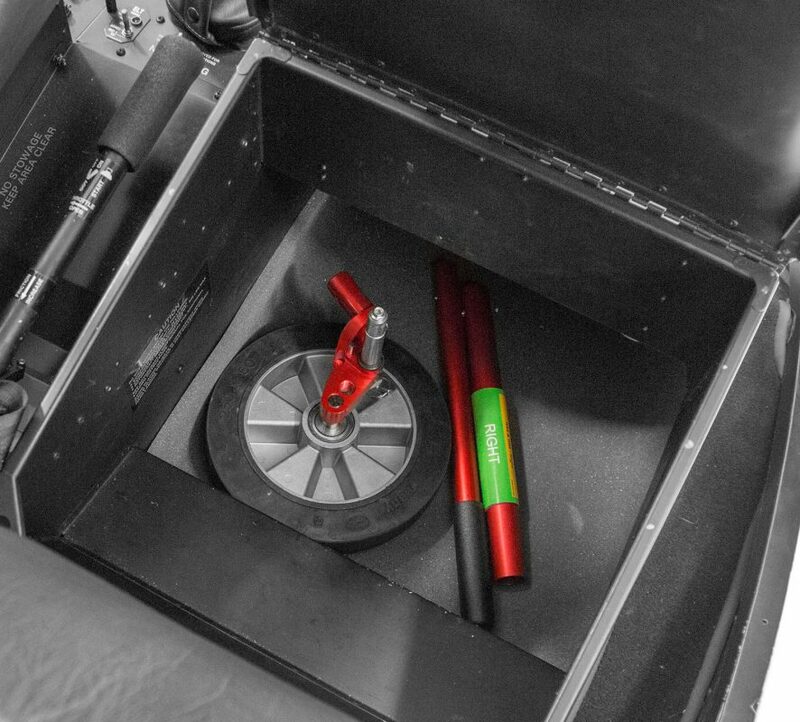 That’s why we’ve designed the most versatile wheel on the market. 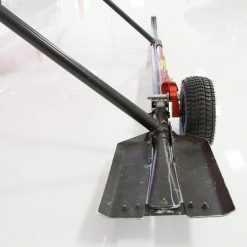 It works just as well inboard for the new R44’s and R66’s as outboard for the previous generation of R44’s. 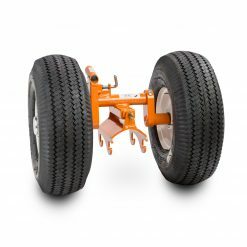 Moreover, the wheels can be installed and locked facing forward or aft thus providing even more flexibility. Transporting your wheels has never been easier ! 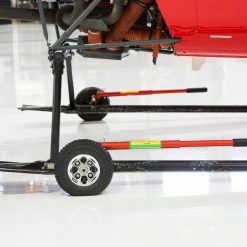 The lightweight handle is removable in two pieces allowing for easy stowing in tight spaces such as seat compartments. 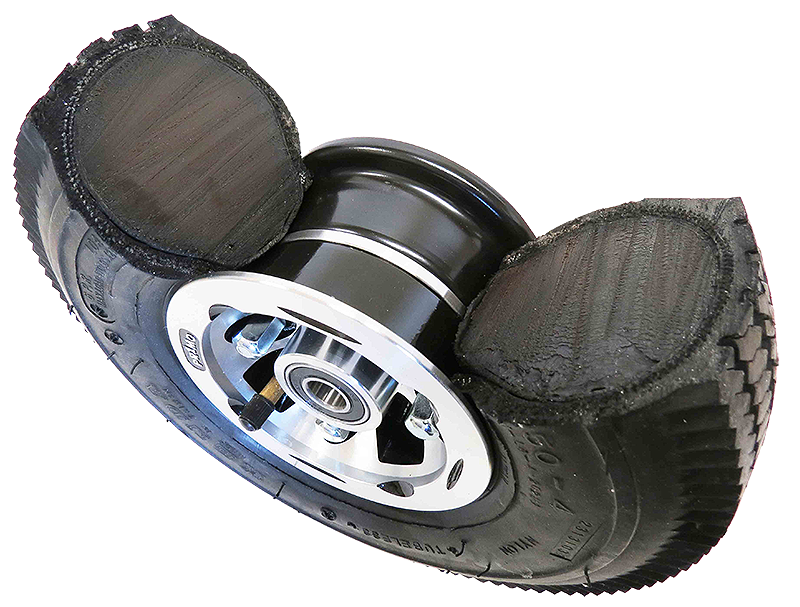 The all New EasyRoll wheel makes pushing a helicopter a breeze with it’s high quality elastic solid rubber. 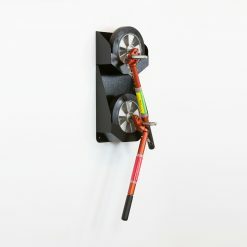 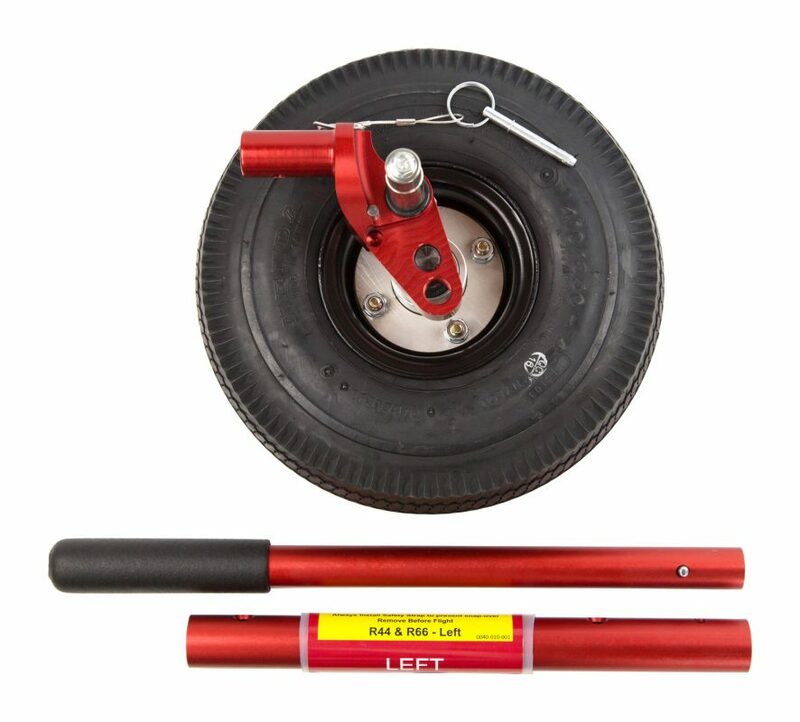 Our most popular wheel, it works great on all types of surfaces and is the best wheel available on the market. 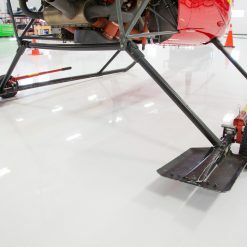 Pneumatic allows smooth roll on hangar rails. 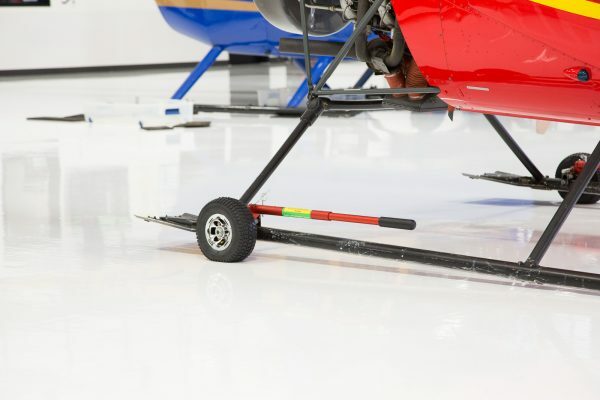 Our most popular wheel for Robinson 22. 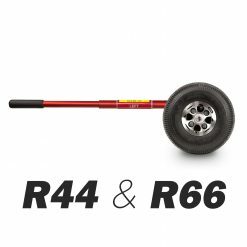 Shares the same great features as the R44/R66 regular wheel but with a smaller diameter. 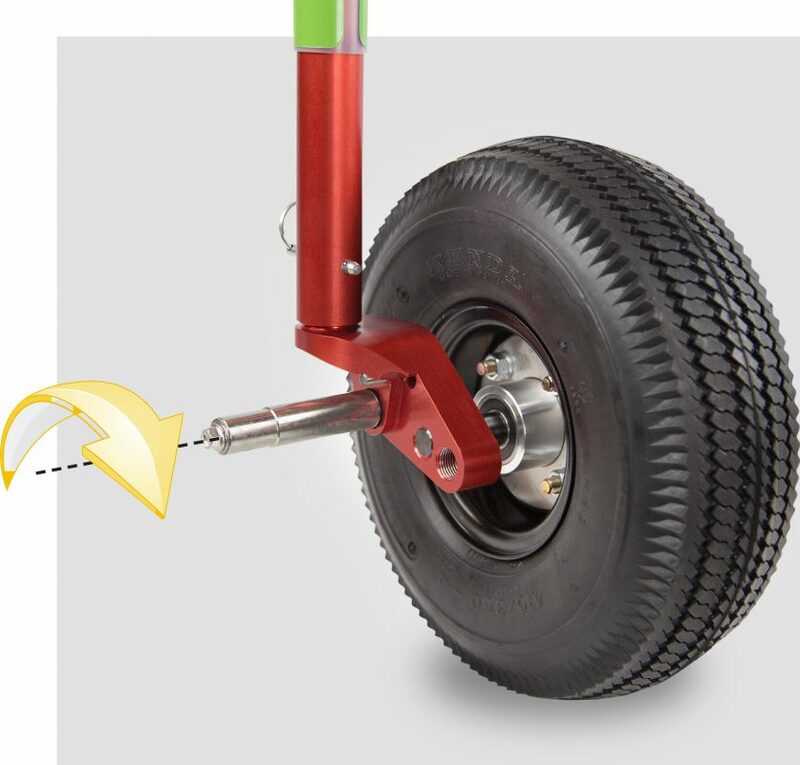 Never worry about deflated tire again! 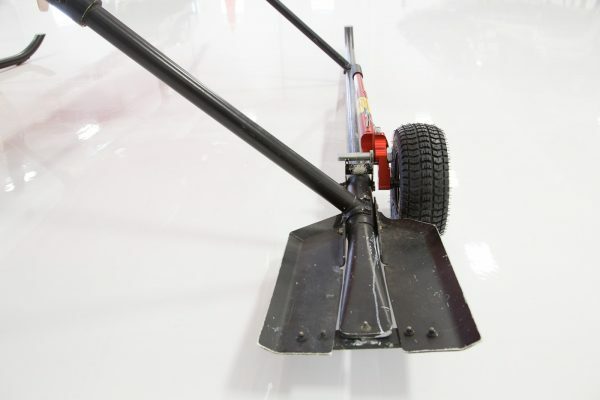 Make your tires maintenence free with our Gel Fill option. 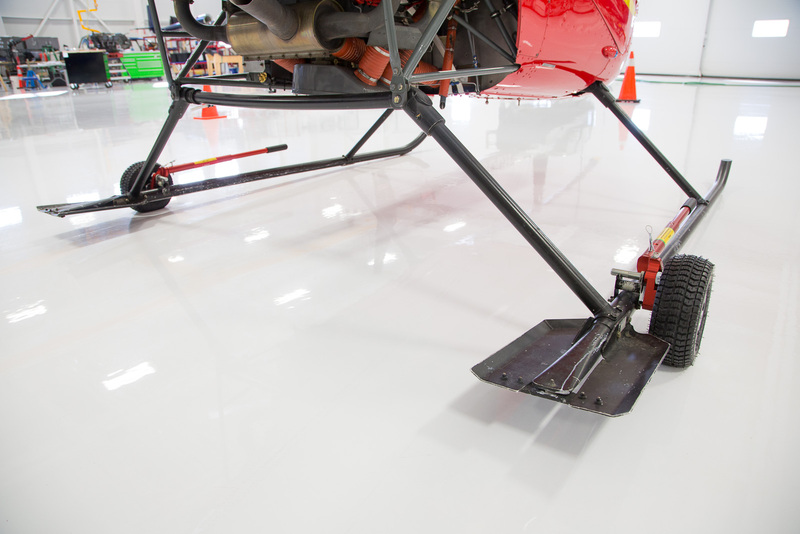 Keeps same Psi flexibility over pebbles and hangar rails as classic air filled tires.